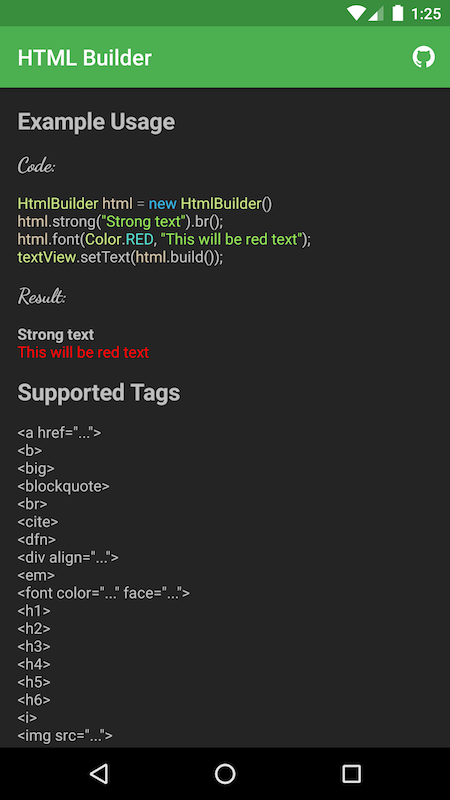 Build valid HTML for Android TextView. There is a lovely method on the android.text.Html class, fromHtml(), that converts HTML into a Spannable for use with a TextView. However, the documentation does not stipulate what HTML tags are supported, which makes this method a bit hit-or-miss. This small library provides a fluent API for building valid HTML for android.widget.TextView.